Just.... ugh.. 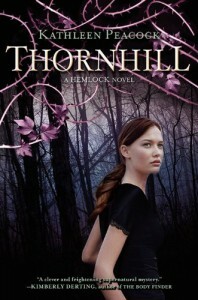 I love this series with such passion <3<br/>This doesn't have a bad cliffhanger like Hemlock so thank you Kathleen Peacock! Overall, Thornhill did not disappoint one bit. I loved every single page of it and can't wait to get my own hardcover of it. I feel sad that this series is coming to an end with the third book. I need more of my Hemlock dosage but I can always reread these books because they're definitely reread material!